These glazed carrots are tender carrot coins simmered in a mixture of brown sugar and butter and topped with a sprinkling of parsley. An easy and inexpensive side dish that’s perfect for a holiday meal or an everyday dinner. My kids love carrots, especially honey roasted carrots and candied carrots. We also really enjoy simple glazed carrots which take just minutes to put together. This is one of my go-to side dishes! I always keep a bag of carrots in my fridge. 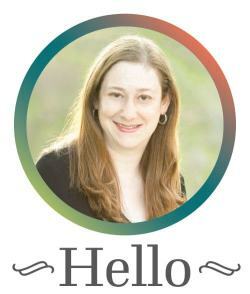 They’re inexpensive, stay fresh for weeks, and you can do so many things with them! 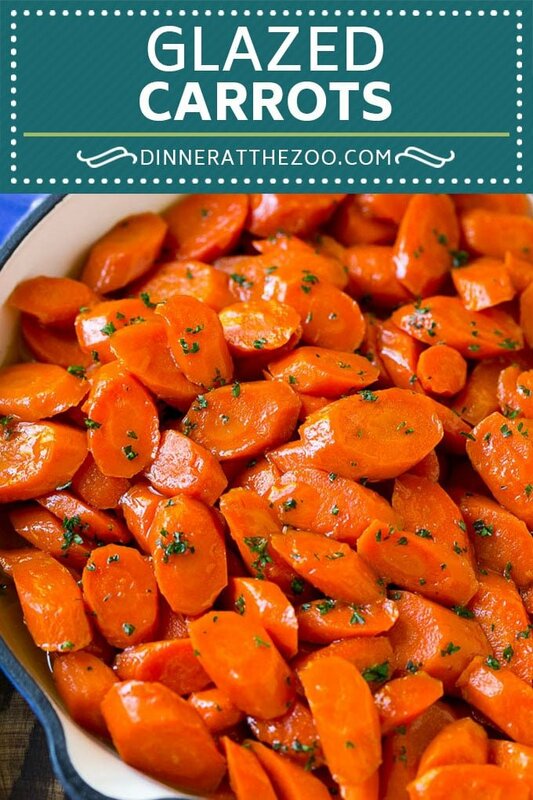 One of my favorite ways to prepare carrots is this easy glazed carrots recipe. All you need is 5 ingredients and about 15 minutes and they’re ready to be served. The first step is to peel and cut your carrots. I typically cut my carrots into slices, but if you’d rather cut them into sticks that’s fine too. You can also use a bag of peeled and cut baby carrots. 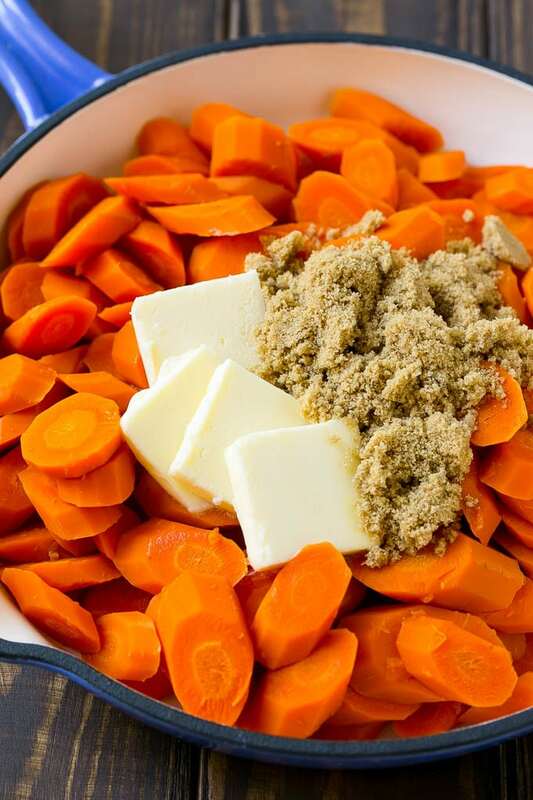 The carrots simmer in water until tender, then brown sugar, butter and salt go into the pan. Add a bit of parsley if you like, then serve. 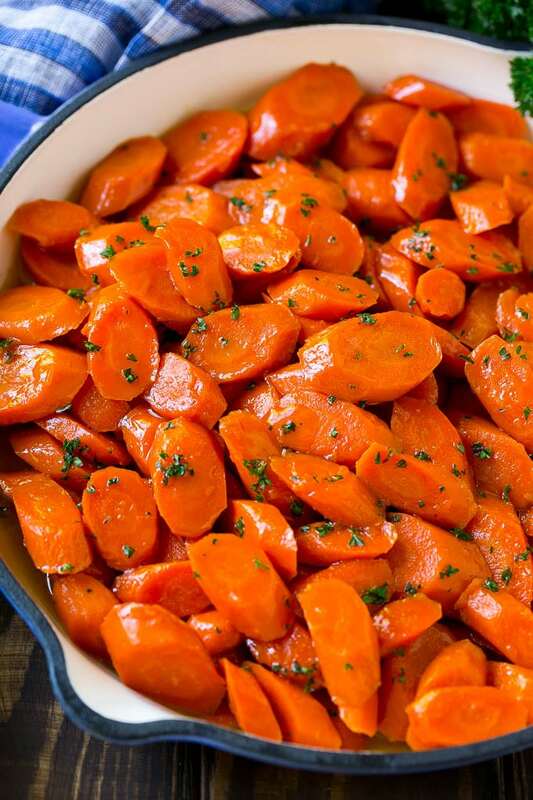 Make sure your carrots are cut into uniformly sized pieces so that they cook at the same rate. You can substitute honey or maple syrup for the brown sugar. I like to add a sprinkling of parsley on top for color, but that’s an optional step. 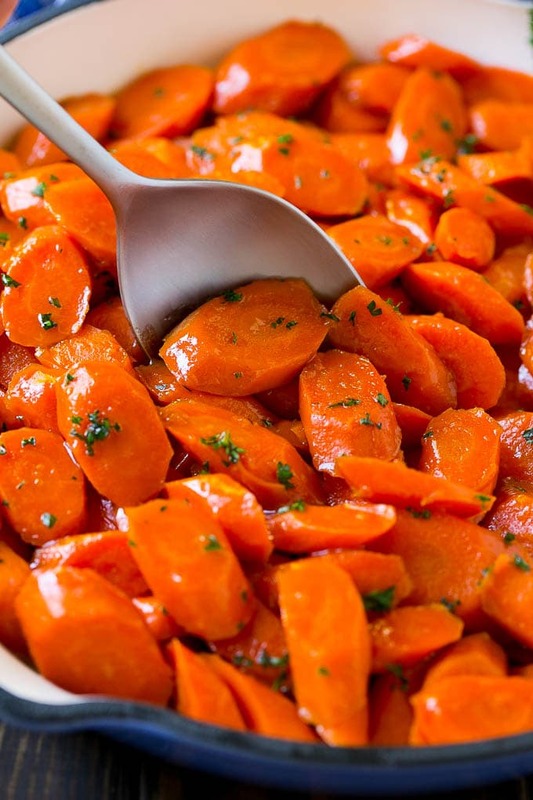 You can cut and peel your carrots up to 3 days before you plan to make this recipe. Want a hands off approach to glazed carrots? Try my slow cooker glazed carrots. Carrots are a super healthy vegetable. 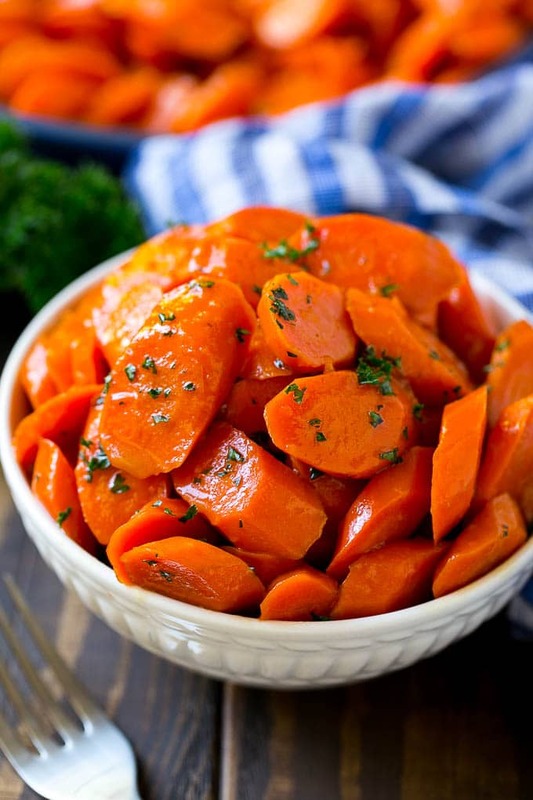 Carrots are loaded with fiber, Vitamin K, beta-carotene, and antioxidants. 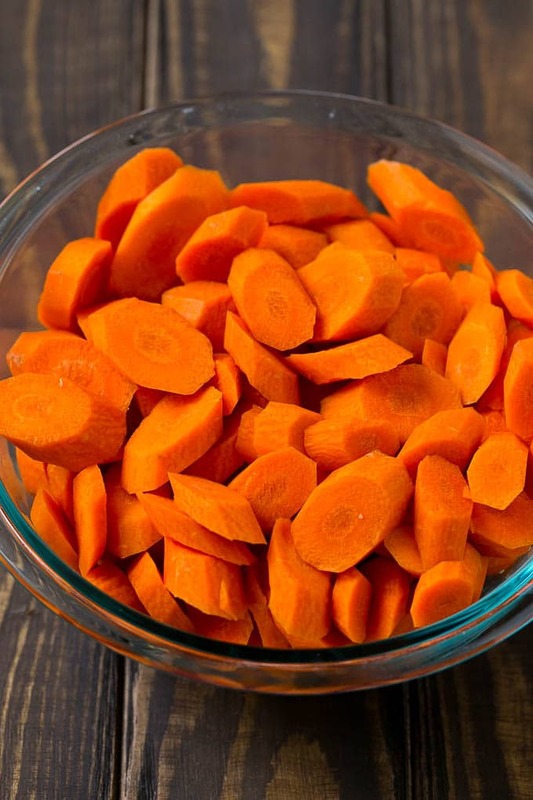 Carrots are also thought to improve your vision, prevent certain types of cancer, slow down the aging process and they also help prevent infection. These glazed carrots are always on our Thanksgiving table because they’re just so easy to make and it’s one of the few veggie dishes that my kids will happily devour. You could even dress this recipe up for the holidays by using some rainbow colored carrots in shades of purple, yellow, red and white. Rainbow carrots are becoming more and more popular and are now more readily available at most grocery stores. Whether you choose to serve glazed carrots for a special holiday dinner or serve them alongside a simple roasted chicken on a busy weeknight, this dish is sure to be welcomed by all. These glazed carrots are tender carrot coins simmered in a mixture of brown sugar and butter and topped with a sprinkling of parsley. An easy and inexpensive side dish that's perfect for a holiday meal or an everyday dinner. Cook for 8-10 minutes or until carrots are tender. Drain off any excess water. Add the butter, brown sugar and salt to the pan. Stir to coat the carrots. Cook for an additional 4-5 minutes, stirring occasionally, until a sauce has formed. Looks delish!Can’t wait to have on my dinner table Easter Sunday. This has become a family favorite so I make it for every holiday! Easy to prepare too! Love this recipe for things that I always have at hand! You would just use the same amount of maple syrup or honey, 1/4 cup. 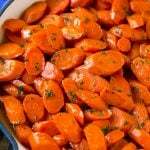 Or if you prefer your carrots to be less sweet you could do 2-3 tablespoons. Oh I just love carrots like this!!! Perfect for this season! I love carrots and this sounds delicious! This would actually make a wonderful Thanksgiving side dish! I have to admit that I hate carrots. I always have. But I tried them done this way a while back and absolutely loved them. Love glazed carrots! I also glaze other vegetables! Soooo good! My kids love it when i make these. I haven’t for a while because I have been cutting out sugar but I should try it. Those look really good. I haven’t had glazed carrots in a long time. I’m going to save this so I can make them later. I am very fortunate that my family doesn’t mind eating their vegetables. I still like to mix up some times. I had no idea it was this easy to make glazed carrots! I will definitely be giving this a try! I love glazed carrots and your recipe sounds and looks delicious. Now if I can talk my kids into enjoying them we would be all set. YES, PLEASE! *opens mouth, waits for bite* I LOVE LOVE LOVE that you added parsley to the recipe – really helps enhance the flavors! There are so many dinners I make that these would go well with. I’d love to try this recipe out! They look fantastic.